One event not to be missed? Maui Chef’s Table at the lush and lovely Maui Tropical Plantation. Produced by The Mill House, this nine-course extravaganza features dishes inspired by the island’s ripest, most flavorful crops—and delivered by the brains behind Maui No Ka Oi Magazine’s Most Innovative Menu (2017). Immerse yourself in conversation with fellow diners and the select weekend-evening’s team of epicurean masters as they prepare exceptional eats in an open-concept kitchen. Call (808) 270-0333 for reservations; limited seating available. Every year, the Shanghai Circus is eagerly anticipated in Maui. This talented group of acrobats travel to our island annually to showcase their skill and daring for packed audiences. The croup consists of acrobats, contortionists, jugglers, and performers who have mastered incredible balancing acts. The excitement of the show never let's up as one breath-taking act follows another. They don't always pull everything, which makes it even more nerve-racking to watch. A youthful twist is added to traditional chinese circus maneuvers at the Macc. February is the peak of the Whale Watching season in Maui waters. 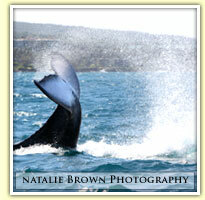 Find out more at Maui Whale Watching. The Maui Whale Festival has been going on in South Maui for over 30 years now with a parade, events, live music, great food and much more. It is usually held in late February or early March. Learn more about the Maui Whale Festival. 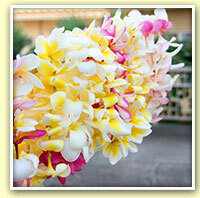 Every year, the day before Mother's Day, the Maui Craft Fair is held at Seabury Hall. This event directly benefits the Tuition Assistance Fund. From classic car show to arts and crafts booths, it's always a wonderful event, and there's loads to do and see while participating in the Seabury Hall Craft Fair. Every year, Kaunoa, the Department of Housing & Human Concerns and The Mayor honor our Veterans on Memorial Day! To recognize each hero, a total of 2,700 lei are placed at Maui Veteran Cemetery in Makawao for Memorial Day ceremonies. Loose flowers are also used in an aerial flower drop. You can help by making leis or bringing flowers. Green ti leaves, Crown Flowers, Orchids, Bozu flowers & leaves, Plumerias, Bourgainvillea flowers & leaves, and other flowers & greenery are all neede. Find our more here or call Kaunoa Senior Center at 808-270-7308. 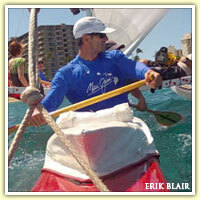 Each year, Kaanapali Beach Resort Association hosts the Wa'a Kiakahi Canoe Festival run by the Hawaiian Sailing Canoe Association. It's great fun and an excellent way to share the ingenuity and incredible skill handed down from Hawaiian and Polynesian ancestors when it comes to traveling without instruments and navigating by the stars. Easily one of the best events of the year on Maui, The Maui Film Festival is unlike any other film festival in the world. Most of the venues are open air with ocean views. The weather is perfect, and the vibe is festive and upbeat. The celestial Cinema is fantastic held on a South maui golf course with stars over head and an ocean view in the distance. 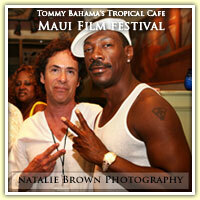 We'll be adding more shortly about the Maui Film Festival. 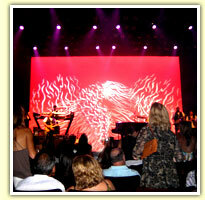 During the Maui Film Festivals, there are many fun parties open to the public. One of these is at Tommy Bahama's. You can see more articles about the events on our other blog. Visit Maui Film Festival. 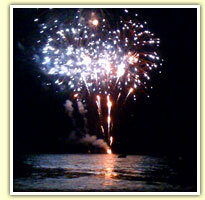 The best fireworks on Maui for the 4th can be found in Lahaina. Find a good spot to enjoy them as they're shot from barges on the water. Wailea sometimes fires off a decent show. This is the single event that all of the restaurants on the island are measured by. With dozens of booths and thousands of delicious flavors to enjoy, you'll love this culinary event. Learn more details about the Taste of Lahaina. Held at the end of September, the Maui County Fair is a local favorite. 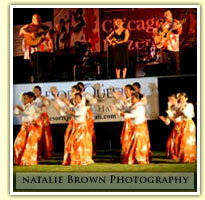 Residents from all over Maui come to enjoy the uniquely Hawaiian Fair. With dozens of rides, fun games, informative booths, and delicious Funnel Cakes, you won't be disappointed with the Maui County Fair. The Historic Lahaina Town on the West side of Maui hosts quite possibly the nations best Halloween celebration. Front Street is closed down from vehicles, and pedestrians in incredible outfits flow through the long oceanfront street. Find out more about Maui's Lahaina Halloween. We are writing more information as we go. Our editors only write about the events directly after having participated in them. Mahalo for your patience! 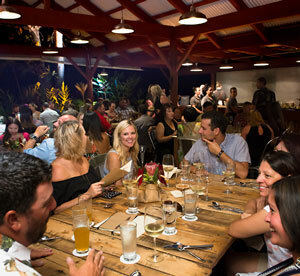 Add your own event to our Maui Calendar! If you'd like to have your Maui event shared on our Maui calendar and/or monthly promoted blog post (example), please submit your payment then email us at least 1 photo, the exact time, and description. Every 1st Friday of the month, Wailuku Town has a big party! 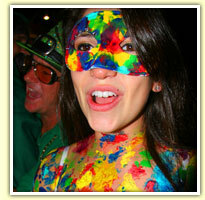 Every 2nd Friday of the month, Lahaina Town has a big party! 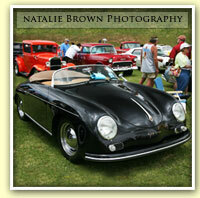 Every 3rd Friday of the month, Makawao Town has a big party! Every 4th Friday of the month, Kihei Town has a big party!